How much would you pay out-of-pocket for a five day hospital stay on Medicare? The majority of people have no idea! The problem with Medicare is there is too much information. An overwhelming amount of information and not enough resources. 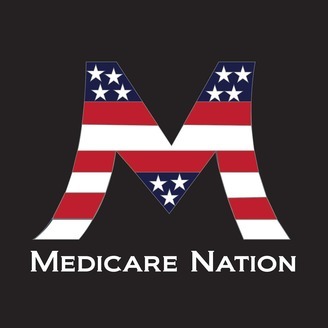 Medicare Nation solves that problem by educating you on all things Medicare, because there are not enough resources out there! This podcast will educate you about the components of Medicare, the different categories of Medicare Plans and Medicare benefits. On other episodes I’ll interview expert guests in the health and wellness field, about diseases, Medicare issues and current changes to the Medicare program. 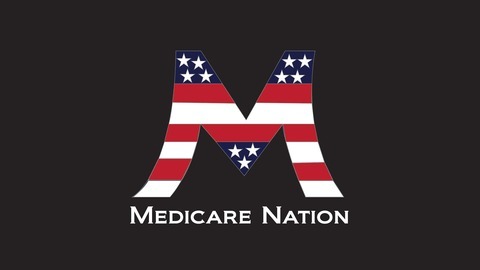 Medicare Nation is dedicated to answering all your questions about Medicare. Expert information and insights regarding Medicare and you! Further information can be found on www.callsamm.com Give us feedback on Facebook! www.facebook.com/MedicareNation. More than 10,000 people a day are turning 65! While qualifying for Medicare Part A and Part B, Medicare Beneficiaries are VERY confused as to what type of plan to enroll in, to "supplement" Original Medicare. By zipcode, a Medicare Beneficiary may have over "100 Plans" to choose from to help supplement their Original Medicare. That's an ENORMOUS amount of research to do! If you have the time and enjoy doing all that research.......go for it! If you're like most Medicare Beneficiaries, you are retiring and you want to ENJOY LIFE! You don't want to "waste" time researching Medicare Plans. Call a "Medicare Consultant" or "Medicare Specialist" to assist you in finding the plan that will fit YOUR unique needs. "Google" "Medicare Consultant" or "Medicare Specialist" and add your city or zipcode to that search. Google will then populate the "Ads" first. Businesses PAY to be on the top of the 1st page of Google. SCROLL down past the "ADS." Just because a business "Pays" for an ad DOES NOT mean they are the best option for you. You will start seeing local businesses and names of Medicare Specilaists. You should be checking out these "Brokers" and "Medicare Specialists" or "Medicare Consultants." I'm speaking specifically about Medi-Gap Plan F and the High Deductible F Plan. The Supplement F Plan to Medicare, is an Insurance Policy you take out on yourself. Medi-gap Plans are NOT part of Medicare. Medi-Gap Plans are an insurance policy that an Insurance Carrier sells to you. You are "purchasing" a policy, where you pay a monthly premium to the Insurance Carrier to protect some or all of your out-of-pocket costs associated with Medicare. Medi-Gap "F" Plan pays the out-of-pocket costs YOU are responsible for. The "F" Plan will pay your "medically necessary" out-of-pocket costs. Plan F pays for your Part A In-Patient Hospital Deductible. Plan F pays your co-pay for being in a Skilled Nursing Facility. Plan F pays your Annual Part B deductible and Plan F pays your 20% co-insurance under Part B. Plan F pays for all of this, for one monthly premium. ALL Medicare Plan F Plans have EXACTLY the same benefits. It doesn't matter if you live in Tampa, FL......San Francisco, CA.....or Salt Lake City, Utah.....The BENEFITS under Plan F are the SAME! What IS different..is the MONTHLY PREMIUM! In YOUR ZipCode.......there may be up to 50 DIFFERENT Insurance Carriers that offer Plan F....EACH one of those Insurance Carriers offer a DIFFERENT Premium for the SAME Plan F Plan. You should find the LOWEST Monthly Premium from the Insurance Carrier that has an "A" Financial Rating. An "A" financial rating means the company WILL pay your claims. That's the Insurance Carrier your looking for. Plan F is the "Peace of Mind" Medi-Gap Plan. There is NO Network of Doctors and Facilities....because......Plan F is NOT part of Medicare. Original Medicare has NO Network.....Original Medicare allows you to see ANY Doctor....or go to ANY Medical Facility in the U.S. that ACCEPTS Medicare! YOUR Health Insurance IS......Original Medicare.....NOT your Plan F! So.....if you're looking for a Medicare Supplement Plan that will cover ALL your Medicare Necessary out-of-pocket costs...Then Plan F is for you. Now.....let's take a look at the High Deductile F Plan. The High Deductible F Plan.....has a DEDUCTIBLE! That means......you WILL pay-out-of-pocket until......you reach the $2,300 DEDUCTIBLE. When you reach the $2,300 deductible, the plan will then pay all your "medically necessary" out-of-pocket costs that you are responsible for under Medicare, for the remainder of the calendar year. You will NOT pay the "Cash" price......you will be paying the Medicare Allowable price....BIG difference. If you go to a cardiologist, and the visit under Medicare, costs a total of $150, Medicare will pay 80% of that amount.... which is $120. you would pay the remaining 20%, which $30. You would continue to pay out-of-pocket until you reach $2,300. If you don't see many doctors or have any diagnostic tests, you will ONLY pay for the services you use. For a healthy person, this could be a very viable option. If you are a person with a chronic illness, let's say for example...Diabetes......Asthma.....or high cholesterol with high blood pressure.....this plan may NOT be a good choice for you. It's important for you to take into consideration your own health history, what medications you take, your financial status and what doctors you see, before enrolling in a Medicare Plan. Next time, I will go over the differences between Plan G and PLan N.
by phone....... (855) 855 - 7266. I will help you find the plan that fits YOUR unique needs. Until next time.....have a very happy, a very healthy and Prosperous week! Does Medicare Pay For Emergency Care While Traveling? Medicare Advantage Open Enrollment Period is NOW!